Paradoxically, a small galaxy that seems to contain none of the invisible stuff known as “dark matter” may help prove that it exists. Astronomers have long noticed an invisible elephant in the room — so-called dark matter, which seems heavier than all the visible stars, gas and dust in the cosmos by a ratio of 6-to-1. Though no one knows what dark matter actually is, writes Joshua Sokol in Quanta, its presence has been inferred from its gravitational influence on ordinary matter in galaxy after galaxy — until now. 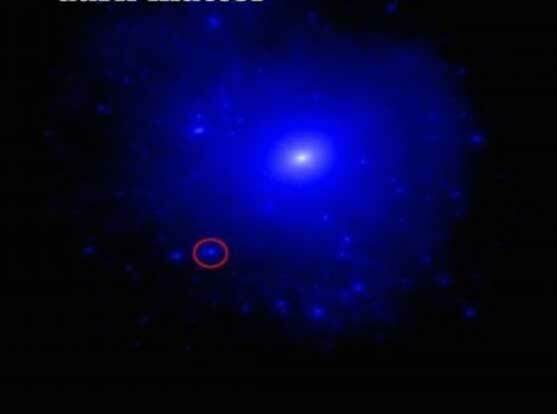 Astronomers have found a galaxy that appears to be free of dark matter. The claim, reported in the journal Nature, throws accepted wisdom about galaxy formation into question, and, if confirmed, may help elucidate dark matter’s true nature. The multi-lensed Dragonfly telescope in New Mexico shown above has triggered a hunt for dim galaxies in our cosmic neighborhood. Since dark matter it interacts gravitationally like regular matter, there has been speculation that some galaxies may contain lots of dark matter, but very little visible matter. These “dark galaxies,” such as Triangulum II (shown above), a small galaxy on the edge of our Milky Way, wouldn’t be particularly bright, but they would be distinguished by their strong gravity. In contrast, galaxy NGC 1052–DF2, a half-transparent smear of light 65 million light-years away in the constellation Cetus, hosts some 200 million suns’ worth of stars, and negligible amounts of gas and dust. And that’s it. According to the new study by Yale astronomer Pieter van Dokkum and colleagues, the galaxy’s visible matter accounts for its entire mass, a commonsense conclusion that turns out to be deeply strange. NGC 1052–DF2, a small galaxy in the constellation Cetus, contains 200 million suns’ worth of stars — and no evidence of dark matter. Astronomers first discovered the galaxy in 2000 as a smudge on old photographic plates. But more detailed observations by the Dragonfly Telephoto Array, a DIY-style observatory cobbled together from Canon camera lenses to study faint, extended objects in the sky, caught van Dokkum and his team’s interest. 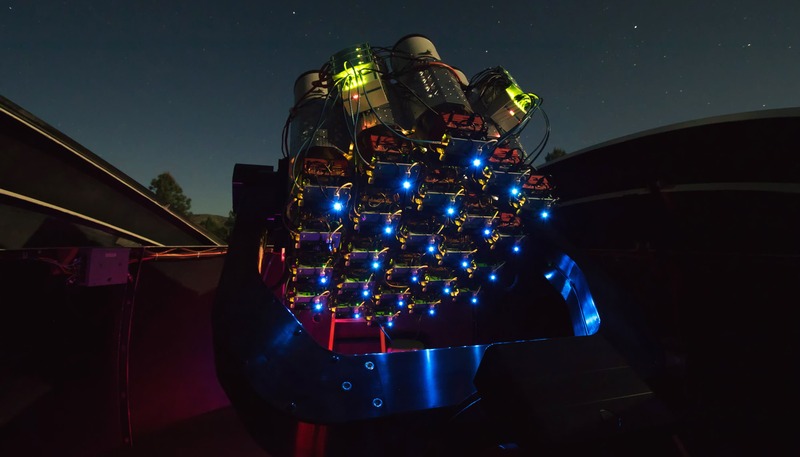 Closer study using the Sloan Digital Sky Survey, the Hubble Space Telescope and the Keck Observatory in Hawaii revealed a swarm of bright points.